As any feline fan is aware, the average cat’s grooming routine is regular and thorough enough to put even the most meticulous human to shame. However, even these impressive skills can stand a little help from time to time. Giving your kitty a good brush helps to remove debris, dander, and knots. The exercise also helps to stimulate blood circulation, and strips away excess hair that could result in dangerous and uncomfortable fur balls. On top of all this, the very act of brushing can be relaxing and enjoyable for many cats, allowing your regular grooming sessions to promote bonding. With all these benefits, selecting a good quality cat hair brush is a sound investment for any cat parent. However, picking just one option from the myriad brushes on the market can be a tricky business, quickly becoming overwhelming. That’s why we’ve scoured the petcare world for the top 10 best cat brushes available right now. Below our list, we run through some basic grooming information, so you can your feline friend can get the most out of these handy devices, and all the health benefits they bring. Starting off our list is Furminator’s specialized deshedding brush. 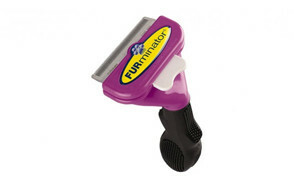 Available in both large and small sizes, and boasting a durable stainless steel edge, this furminator for cats makes brushing out excess hair a simple and safe process. Simply run the cat brush over your feline’s fur to remove loose hair and undercoat. Between strokes, the patented FURejector button releases the accumulated hair from the brush, reducing the need for time consuming and awkward cleaning procedures. Be sure to choose the correct version of the brush for your kitty – Furminator produce versions specifically designed for either long or short hair. The next cat grooming brush to earn a spot on our list is this deshedding tool by Pets Neat. This easy to use device removes up to 95% of your cat’s dead hair and tangles, within as little as 10 minutes of grooming. The durable deshedding brush features a 100mm stainless steel edge, designed for safe and accurate dead hair removal. This high quality blade, along with an easy grip handle, makes it simple and comfortable to groom your cat without the hassle. When you’re done, the brush’s detachable head makes clearing out the hair a breeze. To help you get the most out of their brush, Pets Neat have included a downloadable e-book full of grooming tips and tricks with every purchase. The first cat slicker brush to make our list is this self-cleaning design by Hertzko. Their clever brush is designed to remove loose fur, dirt, and dander from your cat’s fur, leaving behind a smooth and fresh-looking coat. The fine, bent wire bristles penetrate deep within the coat, reaching the underlayer without irritation. The self-cleaning design allows users to freshen up the brush with ease, too: at the click of a button the bristles retract, allowing hair to be deposited with a gentle brush of the hand. The next slicker brush to make our list is this high quality but budget friendly offering from Safari. Their self-cleaning slicker brush removes loose hair and dirt with ease. When you’re done, the bristles can retract back inside the brush to help hair slide free. The stainless steel pins gently work their way into your cat’s coat to detangle and speed along the shedding process, leaving behind a clean and shiny appearance. 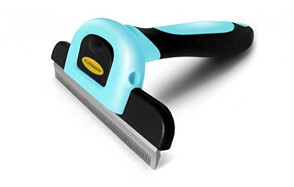 The brush also features an easy grip handle, making it comfortable to use regularly. Glendan’s grooming brush is a versatile affair. It’s suitable for cats and dogs, and is equally at home brushing long and short hair. Each bristle features a rounded pinhead, preventing it from irritating delicate pet skin, even as reaches deep within their coat. The brush is designed to remove loose hair, dander, and dirt. It can also be used to tease out mats and knots, leaving your kitty with an enviably healthy coat. The rotating head makes for comfortable brushing no matter what angle you’re coming from, while an anti-slip handle helps to prevent uncomfortable tugging. Each brush is also backed by a 90 day warranty. Safari have nabbed a second spot on our list thanks to their soft bristle brush. Specially designed for younger, or more sensitive felines, its gentle and flexible bristles can remove dirt and loose hair from the coat without the intensity of a wire-bristled design. This option may well be the best brush for long haired cats. The soft bristles are packed more tightly than their wire counterparts would be, allowing them to tease out even the smallest and most stubborn knots. Safari’s soft bristled brush is also a great option for cats who aren’t fond or grooming, or are new to the experience. Unlike other brushes, the soft nylon bristles also have the advantage of distributing natural oils throughout the coat for extra shine/ It’s comfortable for owners to use, too, featuring an ergonomically shaped wooden handle complete with strategically placed rubber grips. The next item to make out list is DakPet’s deshedding brush. Available in three fun colors, it’s sure to liven up any grooming kit. The brush was developed with the help of pet grooming experts, and can reduce shedding by up to 95% with regular use. As well as removing excess hair, the brush will also tackle dander and debris; leaving coats healthy and soft. Regular grooming with the brush’s fine, stainless steel teeth also prevents pests such as fleas, mites, and ticks from making their home in your cat’s coat. The brush also features a replaceable steel blade, prolonging its life and helping to reduce waste. If versatility is your number one concern, Evriholder’s two-in-one grooming brush could be the perfect tool for you. On one side, are a set of thick bristles designed to safely and effectively remove excess hair and dirt from your furry friend’s coat. On the other side, a fine, soft brush removes lint and stray hairs from clothing, soft furnishings, and your pet’s sleeping spot. Gathering up cat hair can be a real chore, but the specially designed rubberized bristles on this brush make the task far easier. Owners say their pets love the feel of this handy and budget-friendly little tool. Although they’re better known for their innovative dog puzzles, KONG are another strong contender for the best cat brush. Their unique Zoom Groom brush features a fun, cat-shaped design, that’s easy to grip for all-over grooming. The brush’s gentle but effective rubber bristles attract loose hair like a magnet, removing it from your cat’s coat without causing them any discomfort. Their soft feel makes this brush an ideal option for cats who are new to grooming, kitties with sensitive skin, and young kittens. Cats love the feeling of being brushed with KONG’s device, and regular grooming sessions can promote bonding for life. Last, but not least, is Safari’s quality flea comb. 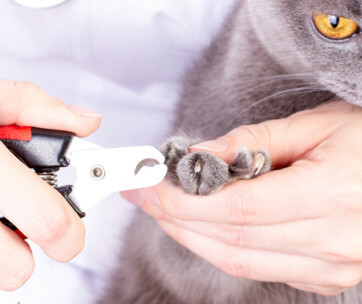 It may not be a tool you hope to use often, but keeping a reliable flea comb on hand is essential for spotting and treating the little blighters that can make themselves at home in your feline’s coat. 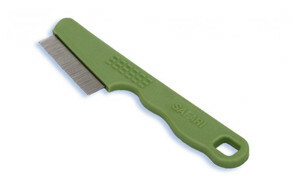 The flea comb is ideal for the treatment and prevention of fleas, ticks, and mites. Its narrowly spaced, steel teeth root out both adult and juvenile pests, as well as their eggs. With this thorough treatment, you can rest assured that the fleas are gone for good. This simple but effective flea and tick solution precludes the need for harsh chemicals, and stops fleas and ticks in their tracks. These cat brushes are the best of the best, and we hope our top 10 list has something for every feline’s needs. To help you understand which brush is best for you and your kitty, we’ve also compiled the handy buying guide below. With grooming tips a-plenty, you’ll be getting the most out of your new brush in no time at all - good luck! The first thing to bear in mind when selecting a brush for your cat is exactly what type of hair you’ll be brushing. Short haired breeds are more likely to benefit from rigid, steel or wire bristles, whereas long haired felines may find this type of brush tugs too much, and prefer a soft, nylon bristle option. If in doubt, check the manufacturer’s advice - many brushes are suitable for both long and short haired cats. If your cat is skittish, or just doesn’t enjoy grooming, chances are they won’t take kindly to brushes that tug. 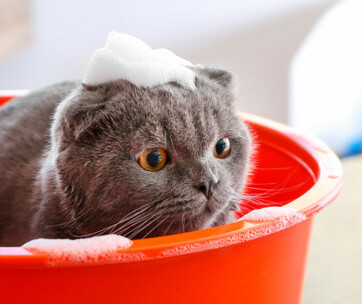 For cats with this sort of temperament, select a brush with soft bristles. This is also a good option if your kitty has sensitive skin, as metal bristles can irritate their skin. We’ve already alluded to the different types of bristle above, but it bears repeating. Bristle type is one of the most important things to consider when choosing a brush for your cat. We’ll talk about bristle type, and what it means for your cat, in more detail later. Finally, when choosing a cat brush it’s important to find one that’s comfortable and easy to use. Look out for features that facilitate easy cleaning, such as retractable bristles, handles that are comfortable to grip, or a rotating head. If you’re looking for the best cat brush for shedding, deshedding brushes are the best option. 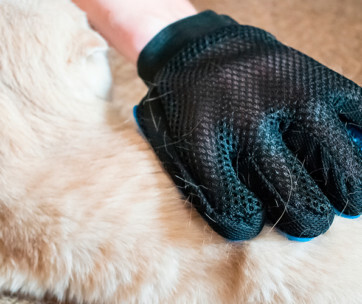 They’re specifically designed for stripping excess fur out of your cat’s coat, so it doesn’t end up on your furniture. Stripping away dead hair like this is also a great way to prevent kitties from getting hairballs. Although hairballs are a fairly common occurrence, they can be dangerous - potentially blocking your cat’s intestinal tract. Bear in mind that deshedding brushes are best for felines already comfortable with grooming, because the sensation of the narrowly spaced teeth running through the coat can be intense. These make great long hair cat brushes. Their soft and flexible bristles are typically made from nylon or boar’s hair, and they’re great for detangling hair gently. Like most cat brushes, they also strip away dead hair and dander, while also removing dirt from the coat. One advantage peculiar to these brushes is their ability to evenly spread your cat’s natural oils throughout the coat. This prevents oils from building up in one place, and leaves the coat looking especially soft and shiny. Soft brushes are usually the best option for cats who don’t like grooming, or have sensitive skin, since they tug less than other options. In terms of bristle stiffness, the slicker brush falls somewhere between soft brushes and deshedding brushes. They feature fairly close knit wire bristles, usually topped with a pinhead to prevent them from scratching your cat’s skin. 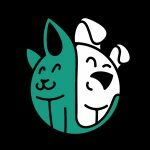 Slicker brushes are versatile enough to be used on the coats of both cats and dogs, making them ideal for households with multiple pets. They remove excess fur, dirt, and dander, and can also be used to tease out mats and knots. Most cats and dogs will find this kind of brush comfortable against their skin. Number nine on our list is a good example of this kind of brush. They feature soft rubber bristles, spaced quite widely, which many cats will find more comfortable to be brushed with than other styles. The surface of these bristles clings to cat hair, helping to strip out the excess. However, since the bristles are not very rigid, they’re unlikely to penetrate very deep into your cat’s coat. Finally, we should mention the flea and tick comb. This specialised piece of grooming equipment has many teeth packed closely together, allowing you to tease apart single hairs, and pull out any fleas and ticks. Grooming with this kind of comb regularly would be incredibly time consuming, but it’s a good idea to check over your cat for these pests and their eggs regularly. Q: How Frequently Does My Cat Need to be Groomed? Q: How to Properly Brush a Cat?